Lose weight for good with Cryotherapy! Have you tried all the diets out there and never managed to find one that really worked for you? While healthy eating and physical exercise is a must for general health, it might not always help with weight loss – and many diets are nothing more than taking a gamble with your body. Whole body cryotherapy is a simple, straightforward way to lose weight quickly, naturally and holistically. 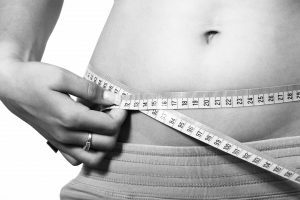 Our cryosauna in Bucks County PA has helped many people just like you shed extra pounds – with a host of other positive side effects for general wellness too. How can cryotherapy help with weight loss? People generally put on weight because they are consuming more calories than they are burning. Whole body cryotherapy helps your body produce heat and burn calories and, while it is not a substitute for physical activity, it can be an excellent supplementary approach to weight loss. It is also an excellent solution for people for whom physical activity is painful, due to injury or disease. Even in a single session you will notice improvements in your metabolism and circulation and you will burn up to 800 calories. A program of 10-20 sessions will normally result in weight loss of between 6 and 20 pounds, depending on your body size and type. As well as losing weight, cryotherapy offers extra benefits such as anti-aging properties, improving the appearance of the skin, and reducing cellulite. Don’t wait. With Cryotherapy, you’ll be in the best shape of your life! The above results can be achieved in a completely natural way with no negative side effects. You can also try cryotherapy if you are suffering from joint pain, or from one of many autoimmune diseases like fibromyalgia, rheumatoid arthritis, or multiple sclerosis.